I adore Caesar salad, using Greek yogurt is such a smart substitution. Can't wait to try it! 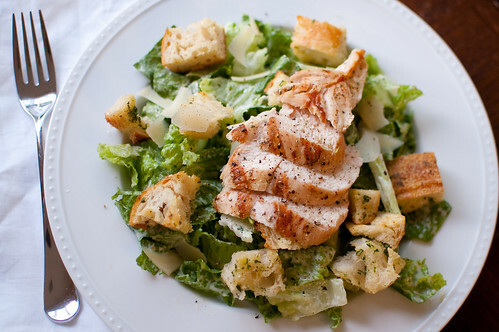 Love a good Caesar salad. Never dawned on my to try greek yogurt. Trying to watch my figure, dontcha know. Will be trying this one, Josie! This looks wonderful. I'm not crazy about the idea of eating raw eggs either. Thanks for the recipe! Caesar salad is one of my favorite meals - I now use a buttermilk Caesar dressing inspired by America's Test Kitchen Healthy Family Cookbook that is so good and extremely creamy! And of course you need anchovies, they really make this salad! I've been craving big salads lately too. This needs to be added to this week's menu!